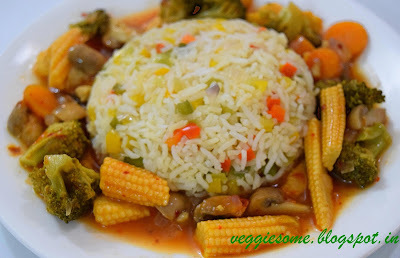 Here is a mouth watering recipe to go with your Chinese rice recipes. 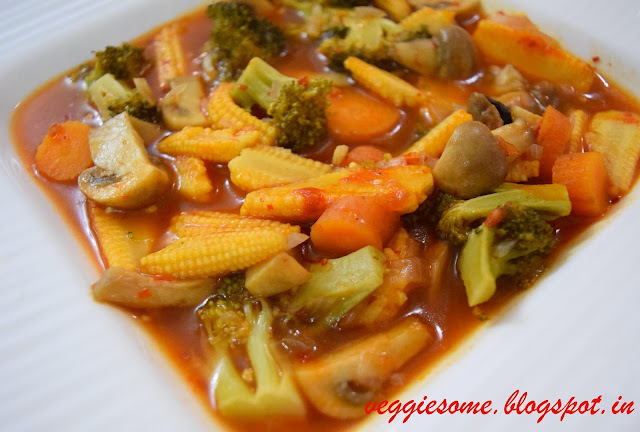 The crispy and crunchy vegetables in the sweet and sour gravy are sure to impress even a person who does not like veggies. Heat oil in a non-stick pan and fry onions, ginger and garlic till it turns translucent. Add red chilli paste, baby corn, mushroom and capsicum and fry till vegetables are partially cooked. Add ketchup/sauce, soya sauce, salt and cornflour solution. Let the gravy boil and thicken. You can add more water if required and adjust salt as per your taste preference. Add broccoli finally as it is already cooked. 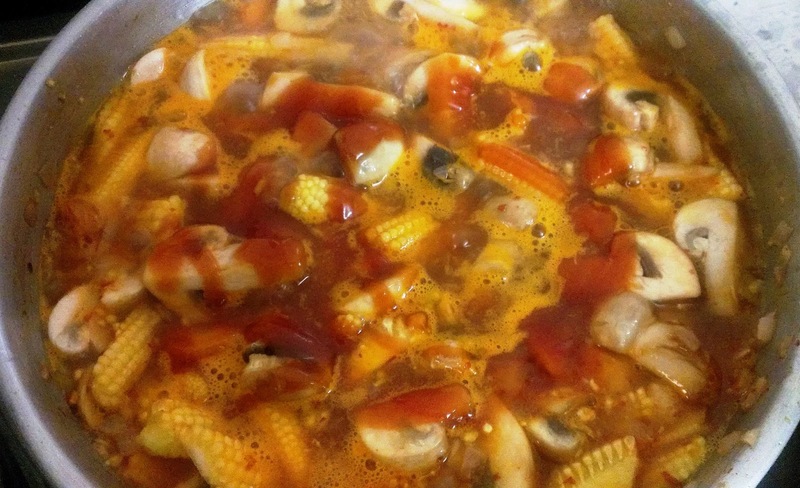 Serve this with Fried Rice or Plain White Rice. Soak 10 to 15 red chillies in hot water for 1 or 2 hours, the long variety (Kashmiri or Byadige). Grind to a paste. This can be stored in the freezer and used as required. Keeps well for up to a month. Add oil if required. 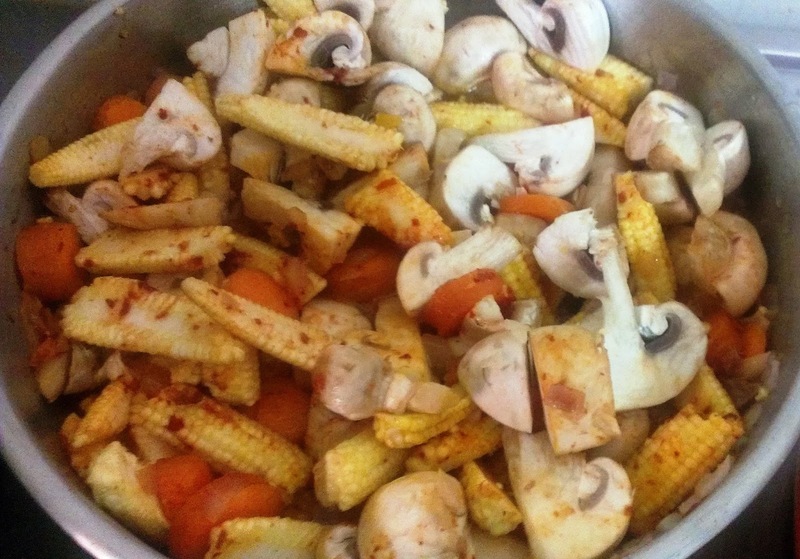 2.You can replace vegetables with Paneer. 3. Remember to keep your vegetables crisp in Chinese dishes. Do not boil, only stir fry. 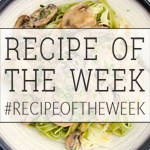 SENT THIS TO "RECIPE OF THE WEEK" CONTEST.